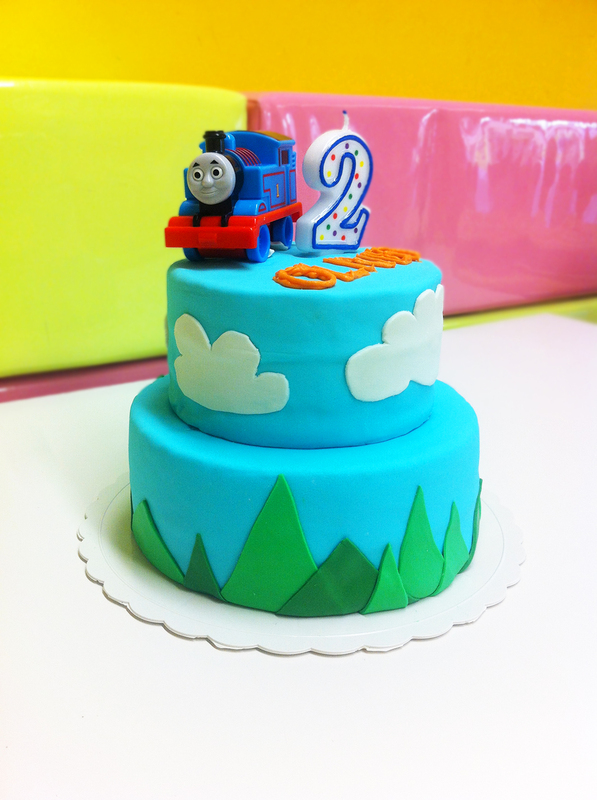 Thomas the Tank Engine Cake! I had another recipe lined up to share here, but I just wanted to share this cake I made over the weekend for a friend’s son. Okay, so he’s more, actually, my boss, but whatever. Semantics. Anyhoo, his son turned two last week, and he (the little boy, not my boss) is currently obsessed with Thomas the Tank Engine (choo choo! ), so I was asked if I could make a cake for roughly 50 people and in the theme. Didn’t think I could do it until I did. You all know how scared I am of working with fondant! I was actually toying (heh heh) with the idea of sculpting a Thomas the Tank Engine out of cake, but with limited time on my hands… it was safest to just go with a toy to perch on top. The cake is two tiers, the bottom tier being my favourite chocolate beetroot cake, and the top tier is vanilla bean cake with lemon curd filling (mmm!). I have yet to share the recipe for that, but I’ve got another birthday cake to bake this coming weekend for one of my dearest friends which I’ll be using that recipe on. With some changes, as after the first time, I think there are minor adjustments I’d like to make. Anyway, I’ll wait and share that version once I’ve tweaked it. 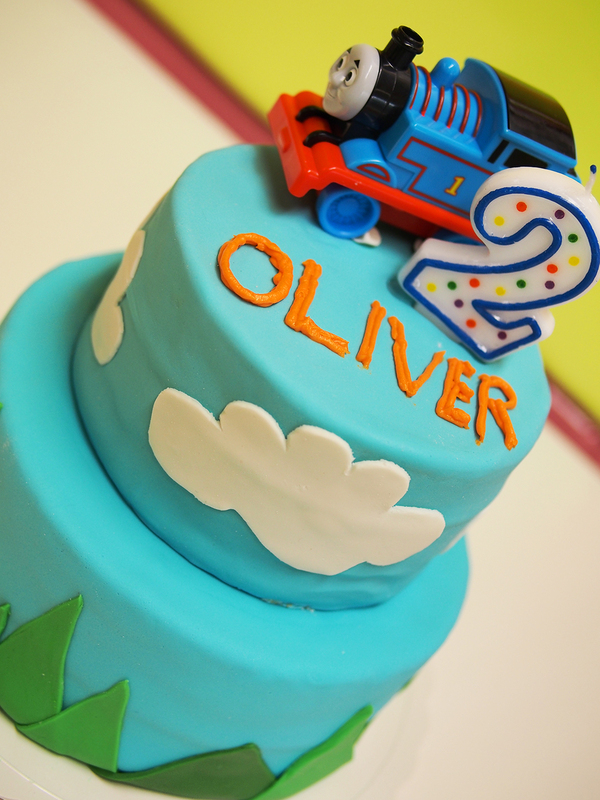 For now, enjoy the joyful pictures of Oli’s Twoo Twoo cake!